The Lunar New Year is not only a time for family, but also a time for businesses to propose new plans and create new focuses for the upcoming year. 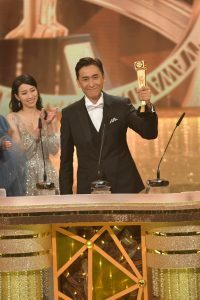 As the leader of Hong Kong television, TVB has to carry the responsibility of following trends and bringing forth new products that are capable of steering the television market. In a New Year’s greetings video by TVB chairman Charles Chan (陳國強), the accomplished businessman reflected on TVB’s past forays in the mainland Chinese television market and spoke about what he intends for TVB to focus with coming forward. He specifically pointed out three TVB dramas to be the inspiration for future projects—The Learning Curve of a Warlord <大帥哥>, Come Home Love: Love and Behold <愛·回家之開心速遞>, and Life on the Line <跳躍生命線>. In the last few years, TVB opened up opportunities to collaborate with many Chinese producers in order to make strides in the Chinese television market. Unfortunately, many of these Chinese co-productions had failed to make much impact within Hong Kong. The most recent example is Another Era <再創世紀>, which was one of TVB’s lowest-rated dramas of last year. 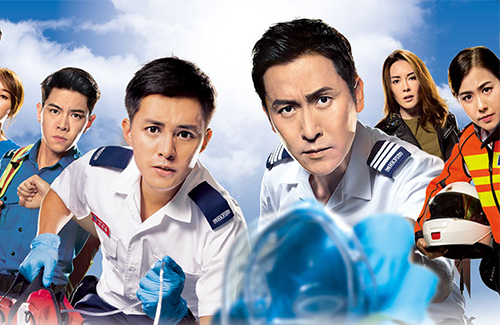 On the other side of the spectrum, local “small productions” became the territory’s ratings king, such as Life on the Line, a drama about Hong Kong paramedics. In Hong Kong, Life on the Line was the year’s second-highest rated television drama (after Story of Yanxi Palace <演習攻略>). It also won Best Drama and Best Actor for Joe Ma (馬德鐘) at the TVB Anniversary Awards. @anon what better and improve? TVB already a legend in drama industry with its history of godlike acting and godlike theme song which no other tv station in Asia can ever produce. TVB already trained and produced uncountable of ASIAN STARS. Ups and down in life is a normal thing. You cannot expect tvb to produce godlike drama all the time. @lam86 Better improvement like production quality, fresh ideas and dare to break the mold. If you were a fan of TVB you will know there is no such thing as godlike acting or godlike theme song with TVB anymore. It has been this way for more than a decade. All the so-called veterans of “godlike” actors/actress has all either left TVB or signed on just for the per show contract. I think you yourself also know TVB will just continue to be the same, throwing actors/actress from beauty pageants and acting class and hoping that it will fare well for them. Essentially they’re just treating HK drama shows as a reality acting class. Yes TVB can improve. Just look at HKTV. The only few HK drama it produced are all better than TVB’s drama in terms of production value and storyboard. Even my mother said that TVB drama is getting from bad to worse and she’s an avid fan, well was an avid fan. Thanks to TVB for pushing my mother to watching Korean dramas instead.